Arvidson, a nonfiction writer and landscape architect living in Minneapolis, is also the author of Greening the Landscape: Strategies for Environmentally Sound Practice, published by W.W. Norton & Company, as well as an e-book, Nature Writing in America, published by Numero Cinq. Both were released back in 2012. Arvidson’s essays and articles have been published in magazines such as Landscape Architecture and in journals such as Michigan Quarterly Review, Briar Cliff Review, and Flyway: A Journal of Writing and the Environment. In 2009, he received the Bradford Williams Medal for excellence in writing about landscape architecture. He currently works as director of strategic planning for the Minneapolis Parks and Recreation Board. 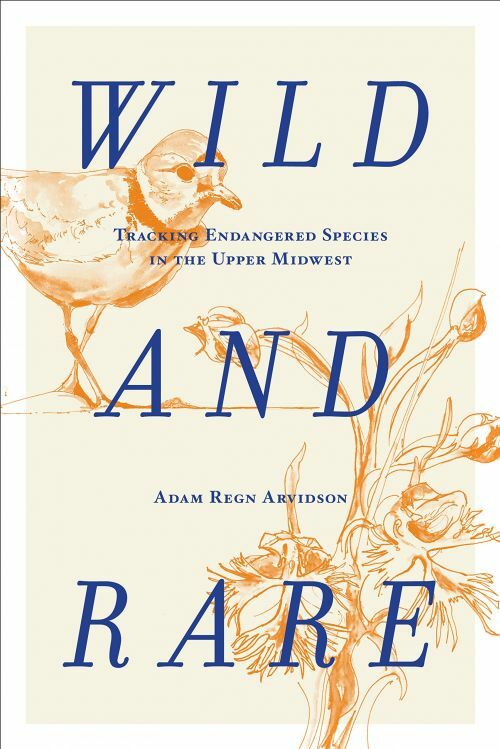 With Wild and Rare, Arvidson describes the endangered plant and animal species living in Minnesota—everywhere from its forests, grasslands, and prairies to all the lakes and rivers in between—and what can be done to keep them alive and thriving. Species ranging from wolves, lynxes, mussels, and minnows to pine trees, rose roots, and orchids are given detailed profiles of their roles in the ecosystem, their interactions with humans, and the toxic effects of civilization on their natural habitats. In the interest of coming up with solutions, Wild and Rare also contains input from scientists, conservationists, lawyers, and others invested in protecting the environment, which drives the point home that fulfilling this collective responsibility must be a team effort.